Coming out: an unlikely addiction. The first thing I did after getting my blood work results (see “Me and Mr C” for more details) was to bite the bullet and go to hear my G.P’s verdict. I sat in the squeaky chair, and nervously tweaked the lab paperwork I had in my hands. The air conditioning unit wheezed gently overhead but somehow didn’t manage to cool me off. I was already anxious about standing up ten minutes later, apprehending the squelching noise of my thighs parting company from the chair. I had committed the schoolgirl error usually only committed by newbies in the South: Shorts and plastic chairs don’t mix in high temperatures. “The Cholesterol”, I muttered darkly, avoiding her eyes like a kid who knew she was about to be deprived of telly for the next three months. “Do you eat a lot of charcuterie? Cheese? 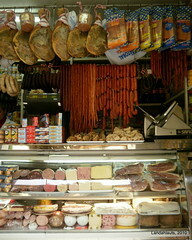 Red meat?” In France, these are the three biggest cholesterol culprits. I am reasonable in my consumption of all three, and told her so. Except when Bigfoot cooks up pasta (with buckets of lardons, crème fraîche and Gruyère) or steak, chips and Roquefort sauce, that is. A “pêché mignon” is a great French term. “Pêché” is a sin, “mignon” means cute. It would be best defined as a weakness, or a guilty pleasure. So with the French philosophy on life, it’s nothing serious if you enjoy one small, harmless sin on a regular basis. Everyone has one, right? And for some strange reason, it’s never good for you. I am no exception to the rule, and I wasn’t quite sure how to go about breaching the subject of my own pêché mignon with her. For me, it’s what I call the PBP – Picon-Beer-Peanuts. Picon is my favourite magic potion: the elixir the Alsatians add to beer for instant perfection in a glass. If Asterix and Obelix had discovered this stuff, they would never have bothered about fighting with Romans. Put the Picon in the glass and add the beer. It takes on a dark, caramelized look, and becomes slightly bitter with a fabulous taste of orange. Accompanied by a bowl of peanuts to nibble, it has been my trade-mark for years. Attempts to stop this evening ceremony have systematically resulted in failure. 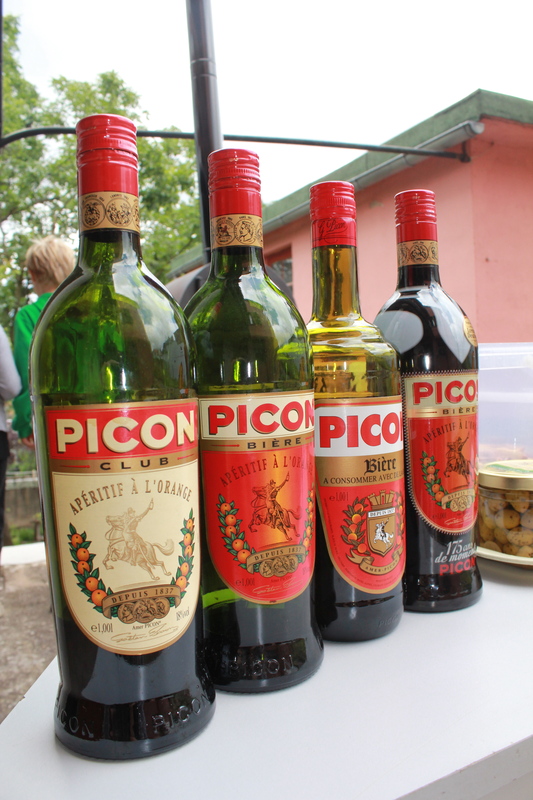 Four bottles of Picon brought by the Alsace pal brigade for an apéritif. And no, we didn’t drink them all. On receiving the test results, my first reaction was to throw myself at my computer keyboard, smoke rising as I desperately trawled the net to find proof that peanuts were good for me. What I found was the following: “A handful of nuts (unsalted) per day is good for you”. Further selective research informed me that bad cholesterol comes from animal fats. By carefully restructuring the information I had gleaned and omitting the terms “unsalted” and “handful”, I was victorious: peanuts were not bad for me. Ipso facto, they could stay, all was not lost. Hey, presto: clear conscience. I cautiously proposed this theory to the doctor, whose eyes widened in surprise. “But you can’t eat that much, surely?”, she enquired. An uncomfortable silence ensued. The air-conditioning unit hummed above my head as I stared at her goldfish, wondered how many times she had experienced the “coming out” of a peanut addict. I chose to give her the truth, embellished with a good dose of humour. I locked eyes with her. “Umm…. Lets say that if you cracked open a packet now, I’d rip it out of your hands and finish it off within ten minutes. That I am capable of crawling over cut glass on all fours to the supermarket five kilometers away if I don’t have any left in the cupboard. That I am hooked to such an extent that I’ve even checked, to no avail, if the equivalent of Alcoholics Anonymous exists for peanut junkies. That I dream of being able to walk past the peanut shelf at the local store without grabbing armfuls of packets. That I am worried I could suffer from cold turkey and maybe maim an innocent passer-by. Do you get my drift?” Yep, peanut addicts are the forgotten sufferers of this world. Once she had recovered from the shock, she burst out laughing. Then she got serious. Her sentence was immediate and irrevocable: Peanuts are not our friends. 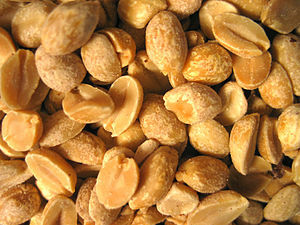 Peanuts are bad for cholesterol levels. VERY bad. Peanuts should be consumed in small quantities. I deftly returned the ball, underlining the fact that “small quantity” was not a term I could associate with peanuts, and glumly accepted that I had to give up my nutty companions. No worries, she reassured me: you can still drink a beer! I sadly explained that PBP would have to become a thing of the past, as they are an inseparable team. If I drink the Picon-Beer, I’ll be tempted by the peanuts, so they all had to go. Today is my Little My’s tenth birthday. She will never use one digit for her age again, she told me. I hope she makes it to triple figures, just like her Grande-Mamie. She is thrilled to bits with her gift, a bright red tablet that goes « scccchlick » when she pulls her finger across the screen. When the village postie careened down the drive this morning in the bright yellow suppository he uses like a combination of a tank and dodgem car, he left two gifts in the mailbox. One was for Little My. Her eyes lit up when she ripped the envelope open to discover a delicately illustrated birthday card from my parents, with two crisp notes inside. 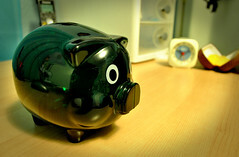 She hurtled up the stairs to ferret them away in her piggy bank. The kid has an impressive stash of cash, and I suspect that she will be buying us out one day in the foreseeable future. I also had a gift: my blood work results. Not having had any blood tests done since two years ago, I wasn’t quite sure what to expect when I opened the envelope. It contained a wake-up call: I have a visitor, a certain C. Holesterol. My unwanted guest has a double personality. He has a generously sized nice-guy component, making this part of his personality a superhero sweeping away the muck in my arteries. I’m guessing that his presence can be attributed to my huge consumption of peanuts, cashew nuts and olive oil, and this suits me fine as I can’t imagine life without them. However, he is having a tough time beating his nasty alter ego, a certain « LDL » who weighs in at a hefty 1,75g. The French limit the bad-guy element to 1,60g/litre which is totally unfair given the amount of cheese and charcuterie there is on offer nationwide. Thinking this over, I can’t help wondering where the pharmaceutical companies selling French anti-cholesterol medication go on holiday with all that money. I fear that the family doctor is going to be coming down on me like a ton of bricks some day soon. Whatever she says, the source of motivation I couldn’t find just a few days ago in « My body is my temple » has just reared its ugly head : my health. The date, as I have already said, is one that I won’t forget. It’s a good date, if any, to set out with a new attitude on life. Realising that ten years have already flown by and that your last-born is already asking you what her kids should call you when you become a grandmother kind of reminds you that although you’ve done a fair whack of life’s road, you still have an awful lot of things you’d like to see, and it’s probably best not to tempt the devil…. So here’s the deal. So from today onwards, I’ll be making an effort to cut my intake of alcohol, salt and animal fat, and taking daily walks or cycle rides. I will NOT join the lycra brigade, so don’t hold your breath. Any form of girly exercise is most definitely OUT, as well as tofu: I can’t stand either. Oh, and any resemblance to intentional weight loss will be purely incidental – I have no desire whatsoever to end up looking like a stick insect that’s decided to give Dukan a whirl. This is going to be tough, and I can’t say I’m looking forward to it. The only time I ever stopped eating animal fat and drinking any form of alcohol was to lose two and a half stone way back when I was a student, but that was to fit into my clothes, not for my health. Now I’m getting older and the reality of life is kicking in, I’m not really surprised to see that wake-up calls for your health motivate even the most reticent Epicureans. So we’re off. Accountability is a win-win situation, I guess, so I’ll check with my G.P then get another blood test done in three months. Watch this space. Wish me luck, guys…… Any advice would be gratefully accepted!